Ada pertanyaan untuk Cempaka Lovina Hotel? Terletak strategis di pusat pariwisata lovina, hanya 5 menit jalan kaki dari pantai. 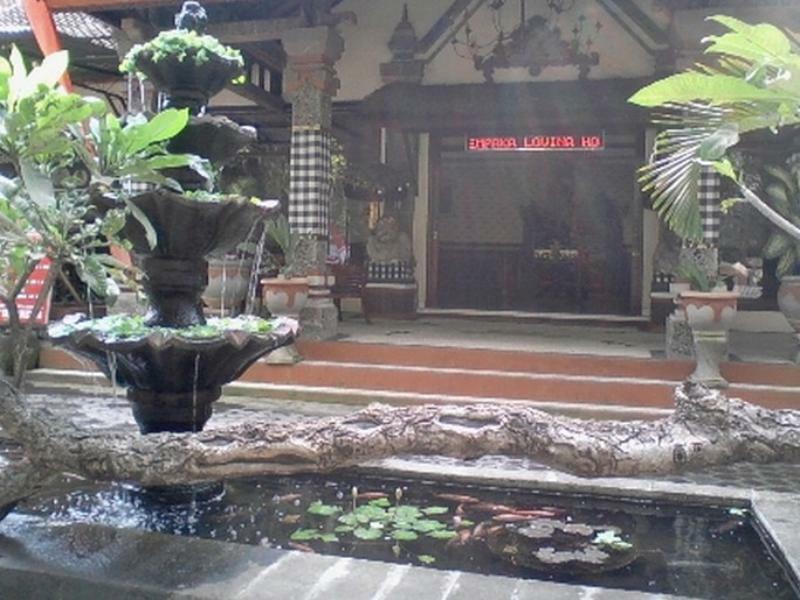 Hotel ini memiliki sebuah restoran, serta dilengkapi dengan berbagai sarana penunjang seperti Massage and SPA, Entertainment, dan pusat belanja Oleh-Oleh Khas Bali. hotel ini dirancang untuk wisata plesir dan bisnis. Dengan letaknya yang strategis akan memudahkan anda untuk mengakses berbagai tempat wisata, ataupun hiburan di area ini. harga jika dari internet sangat murah apa lg jamann saat ini. lokasi strategis. tampilan depan bagus. Sebenarnya bukan tidak bersih, tapi design interior menggunakan material standard perumahan yang medium kebawah. Listrik mati jam 11 dan aktif jam 13 psikologi seperti ngusir secara halus jd gak nunggu jam 12 cek out. Breakfast pagi hanya roti tawar dikasih selai dan kopi atau teh saja. Ya kalo mikir budget bisa dipertimbangkan nginep sini tp kalo ada uang lebih better cr tempat lain, intinya ada harga ada kualitas. Lokasi hotel sangat mudah ditemukan, dengan papan petunjuk yang besar. Fasilitas kamar yang agak kurang meuaskan bagi saya, karena kondisi perabotan yang ada kurang baik. Kebersihan tidak terlalu baik, tetapi tidak juga kotor. hanya saja untuk kamar mandi kurang begitu baik, dikarenakan terlalu sederhana fasilitas nya. Staff was nice, the hotel was large and breakfast that was included was nice. I stayed here for 1 night with a friend. The hotel is not in great condition. Our room was small without any windows and therefor a bit warm. There were quite a lot of ants walking around. Despite that, our stay was ok. Would not come back simply because there are more comfy places to stay in. The room was very cheap though so if you are on a budget and not too picky go for it. I don't understand the bad reviews on this hotel. Because this is after all, a budget hotel. Don't expect a five-star hotel experience if you only pay roughly for a hotel room. The staff are very friendly and hospitable, they can also help to get you a boat for dolphin watching. Hotel food is cheap here. 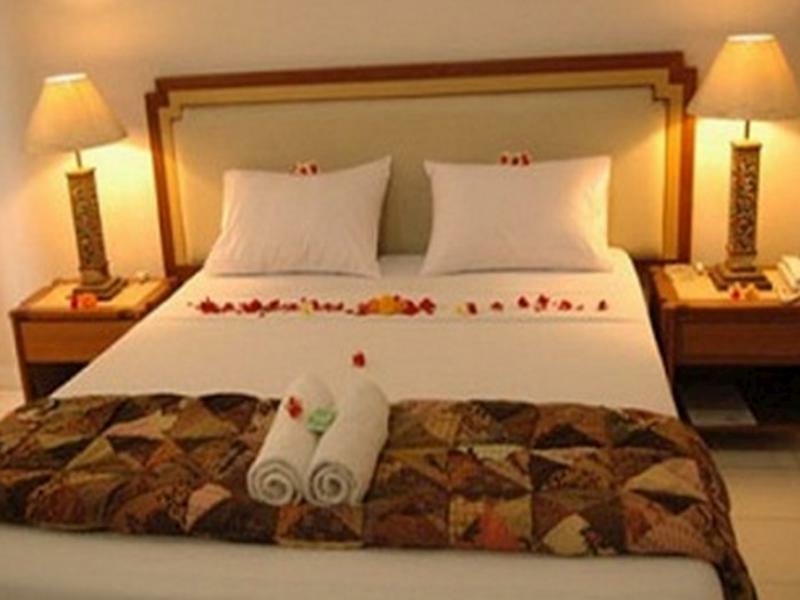 If you're a backpacker looking for a budget hotel in Lovina, this hotel's for you. Dirty hotel, we found centipede in the room and there were lots of bugs on the beds. Everything is dirty and old, disgusting!! We couldn't sleep at all in this horrible hotel. Affordable, located in Lovina, breakfast included. Hotel has a nice lobby, but I am not satisfied with the room cleanliness, the bedsheets smell like sweat and also the shower head was broken. However, the staff was very nice and suit for a budget trip. Nice lobby but the experience was bizarre. Hotel is clearly managed by Indonesians. When we arrived it was empty except for a Chinese couple who were on vacation. The hotel is supposed to be or is called a "resort" but half the rooms actually have no windows and are underground like a bomb shelter and the other half faces the parking lot. Bedsheets smell like sweat and the bathrooms were broken...I mean everything. It started to rain at night and there was a puddle in our room the following morning. Overall an interesting experience. I would have been upset by the stay but because it was just for one night and part of the "experience," we had fun seeing everything literally break apart. On the flip side, the staff was very nice. Standards are different out here. Everyone should know this when traveling in Asia. i have wrong book a room without air conditioning, therefore the room is a little warm, but is still OK. i have enjoyed the dolphin trip. i have also hired a motorcycle and touring near by tourist attraction. The hotel is very dirty , furniture also very old and broken. Inside the hotel air cool and water hiter also need to talk up money. Some more the service in the hotel is very bad with no manners. Even thier staff also infrom us thier all custermer will complete and go out from this hotel to looking for other room. the room and the place not bad.Overall quite satisfy for this room. well..the outlook of the hotel was nice..beside the hotel has some shops like souvenir shop and coffee shop although are not very elegant or high standard..breakfast were not served in the hotel, but you have to walk to the nearby restaurant..it is a small restaurant..breakfast not very nice..we got plates of fried rice served in cold condition..room was ok..medium size..quite clean although there was some insects and spiders..but overall still ok..